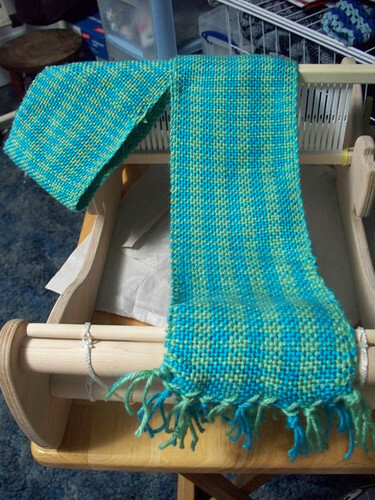 Here is my third finished scarf on my Schacht Cricket loom! This time I tried something a bit different. 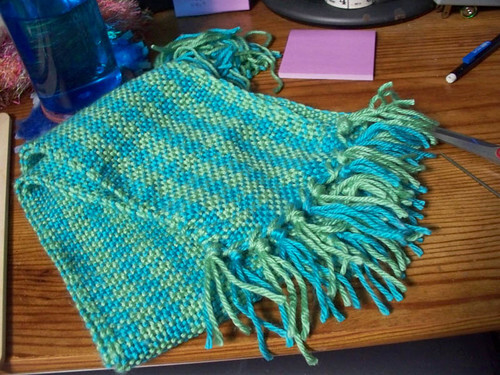 I used yarn I had in my stash and the colors are a bit bright so it’s hard to see the pattern, but it is there! And this is my cat Black Jack supervising me while I was warping for the previous scarf! 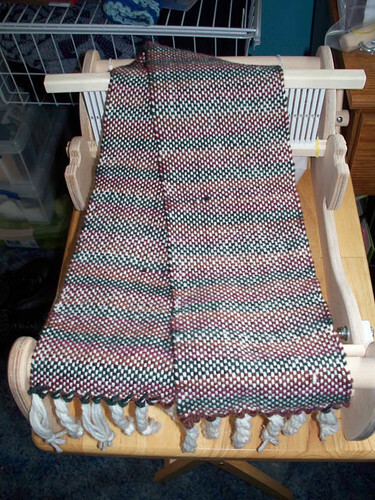 I just finished weaving my second scarf on my new loom. I’m having so much fun with this! 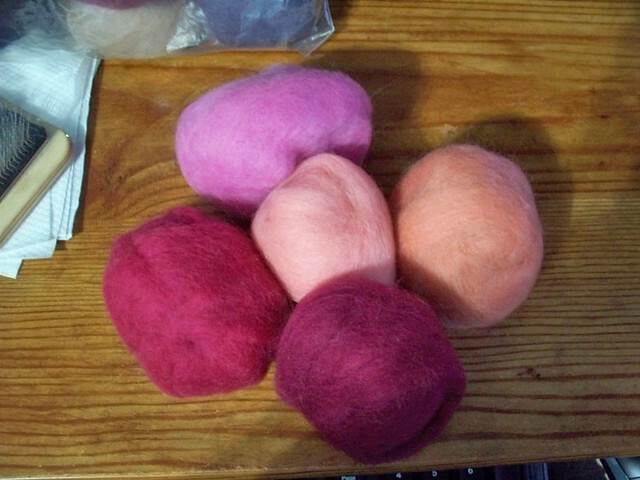 For my next one I am planning on trying out a pattern. I think it’s pinwheel houndstooth but can’t remember for sure. 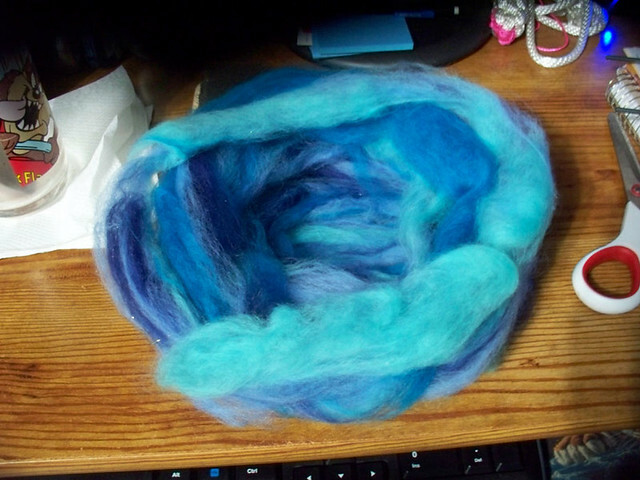 This one is a much better length than my first one. 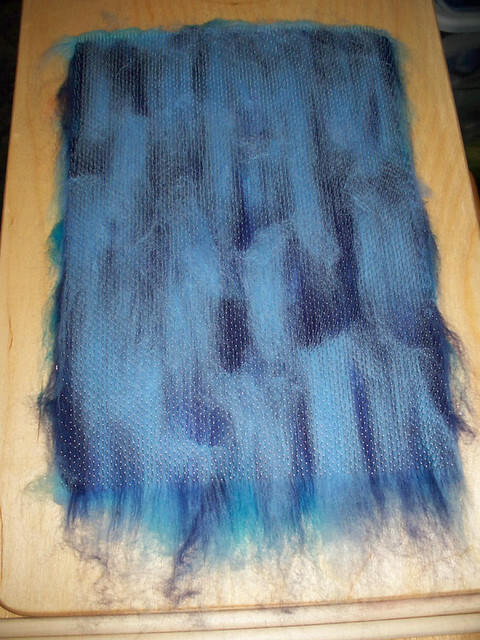 I also like it better with the same yarn as warp and weft than the first which had the white for the warp. 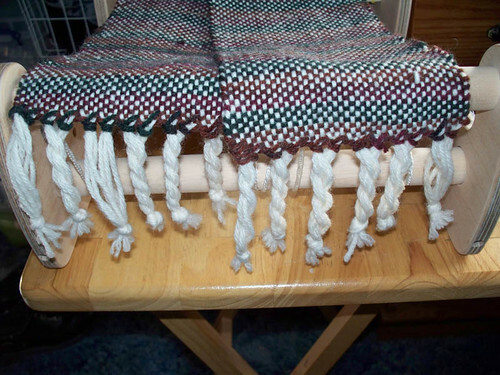 I love my Cricket loom! 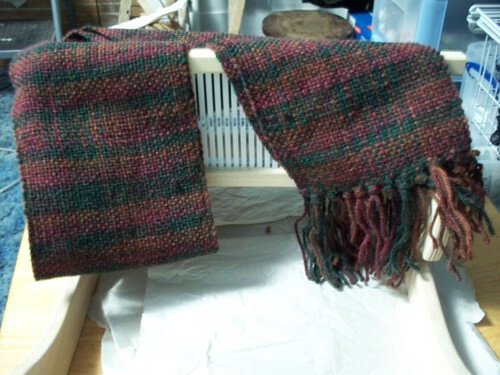 I completed the scarf I posted about the other day. 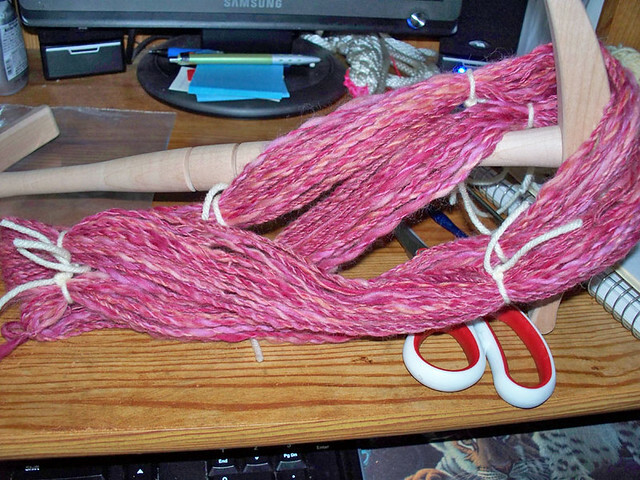 It turned out shorter than I had thought it would, but that is my fault for measuring the warp wrong. 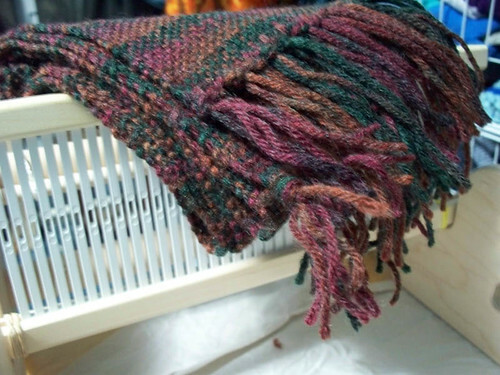 Scarf number two is already on the loom and half done. 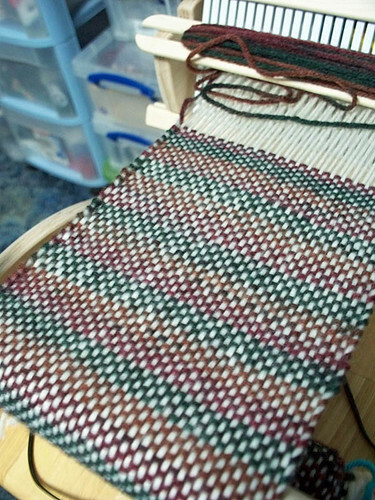 I’m finding that weaving goes very quickly for me, at least doing plain weave. I’ll be looking up patterns soon, I think ! 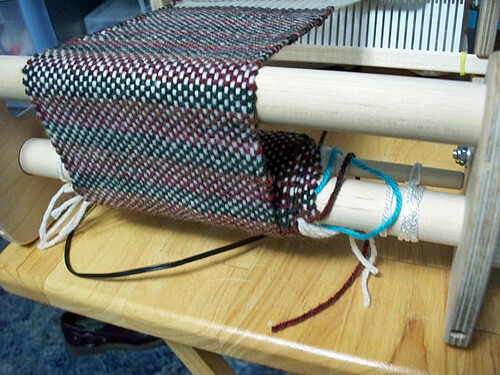 On Wed I ordered a Schacht Cricket loom through Lionbrand yarn since it was cheaper than anywhere else. I got it on Saturday and actually was not expecting it since I never received a notice for it. 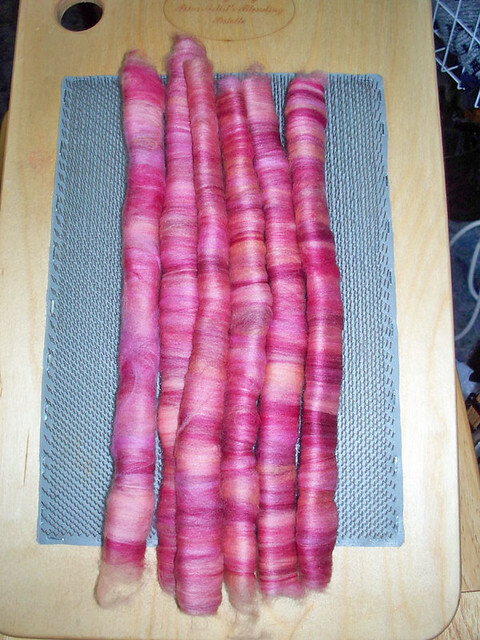 I got it all warped up and started weaving on it last night. 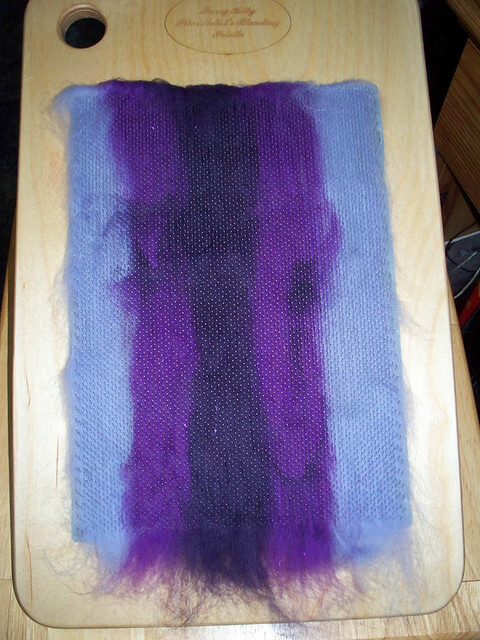 I have having a lot of fun with it and I can’t wait to learn more techniques with it! 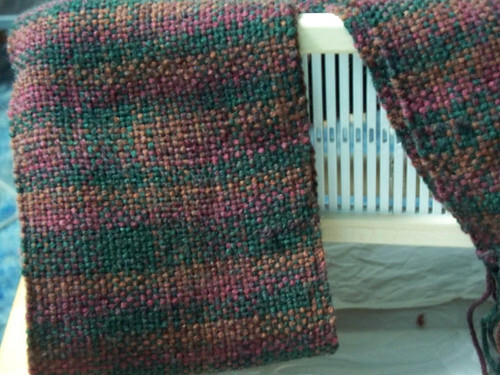 For the warp (the yarn that goes front to back) I used some of the Wool-Ease in the Fisherman color that came with the loom. 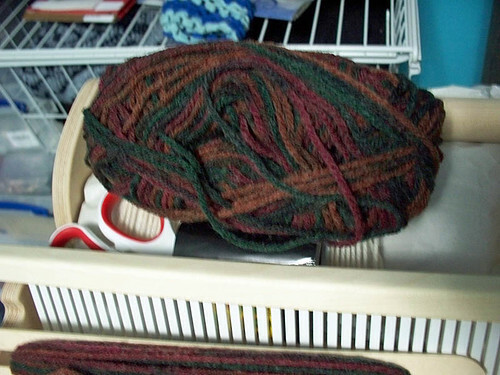 For the weft (the yarn you weave with) I bought with it and it is also Wool-Ease but in a color called Autumn. 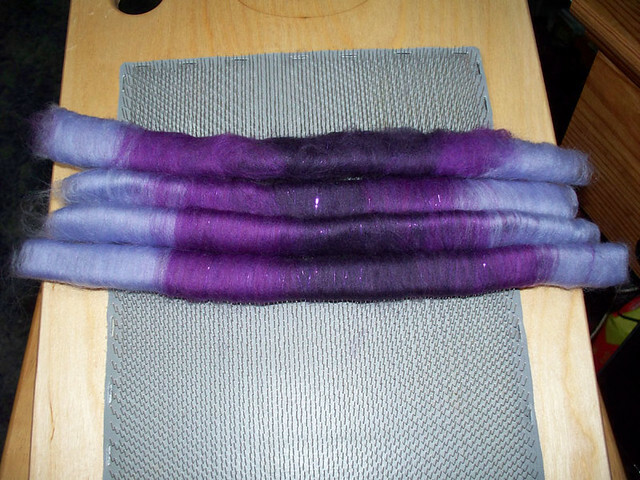 It is dark colors but the white lightens it up a bit. 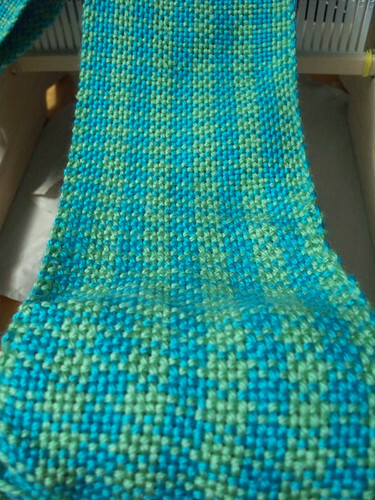 Since I am making a scarf I have a long way to go yet. Here are some in progress shots!